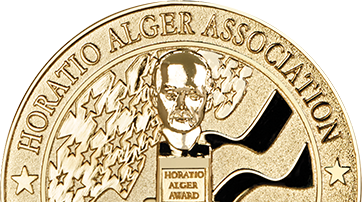 Lifetime membership in the Horatio Alger Association is conferred on 10 to 12 individuals each year with the presentation of the Horatio Alger Award. The Award symbolizes the Association’s values, including personal initiative and perseverance, leadership and commitment to excellence, belief in the free-enterprise system and the importance of higher education, community service, and the vision and determination to achieve a better future. We are pleased to welcome you to the Horatio Alger Association and celebrate the success you have achieved through integrity, hard work, and perseverance. 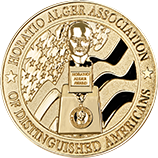 It will be a privilege to formally induct you as a Member during the 72nd Annual Horatio Alger Awards Induction Ceremonies on April 4-6, 2019, in Washington, D.C.
As you may well imagine, a great deal of planning goes into preparing for the Horatio Alger Awards events. We are pleased to share this online New Member Portal with you – a hub of pertinent information to assist you in preparing for your induction as a Member of the Association. April 4–6, 2019 | Washington, D.C. Please refer to the New Member Packet for the New Member Schedule. It is recommended that you reserve your room in early November to ensure preferred accommodations. A conference call with her to review the pre-Awards timeline of activities, the Awards events schedule and the requirements for New Members before and during the Awards. A conference call between your communications team and the Association’s media relations teams. A phone interview for the Only in America publication. The interview may also be scheduled by using the scheduling link here: calendly.com/ginny. An on-site video interview that will be used to introduce you during the Horatio Alger Awards Induction Ceremony. Please refer to the New Member Packet for information regarding sponsorships, which support the Association’s educational programs. You will receive one (1) comprehensive and one (1) individual draft press release to review and approve/return with edits. Please refer to the New Member Packet for additional details. You will receive a draft short biography, which will be included in the Awards materials, for you to review and approve/return with edits. Ginny Graham will contact your office to schedule this meeting. You will receive a profile for you to review and approve/return with edits. You will receive a set of draft remarks from Brian Communications, based on your interviews, for you to review and approve/return with edits. Remarks cannot exceed 90 seconds. Those that run over the time limit will be interrupted. Script reviews for New Members are schedule in 10-minute blocks between 9:00 a.m. and 12:00 p.m. on Thursday, April 4.